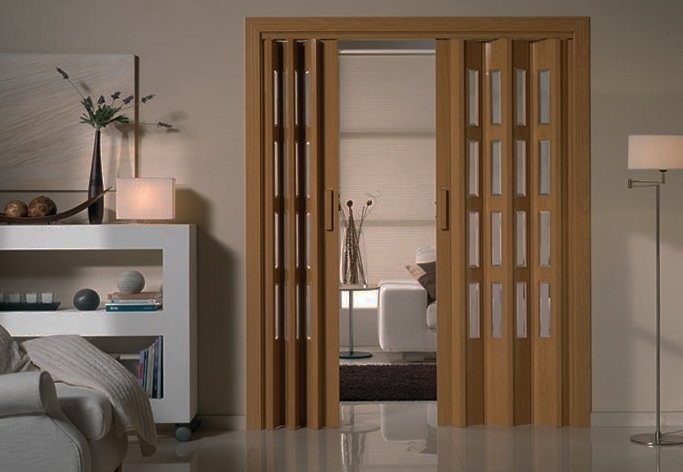 In AYELEX we have at your disposal folding doors in pvc available in numerous finishes. These doors are indicated to be installed in steps of rooms in which it is impossible for space to install a conventional door. Simple and quick to install, they are especially suitable for salons, apartments, commercial premises or wherever you want to create a separation occupying the minimum space.